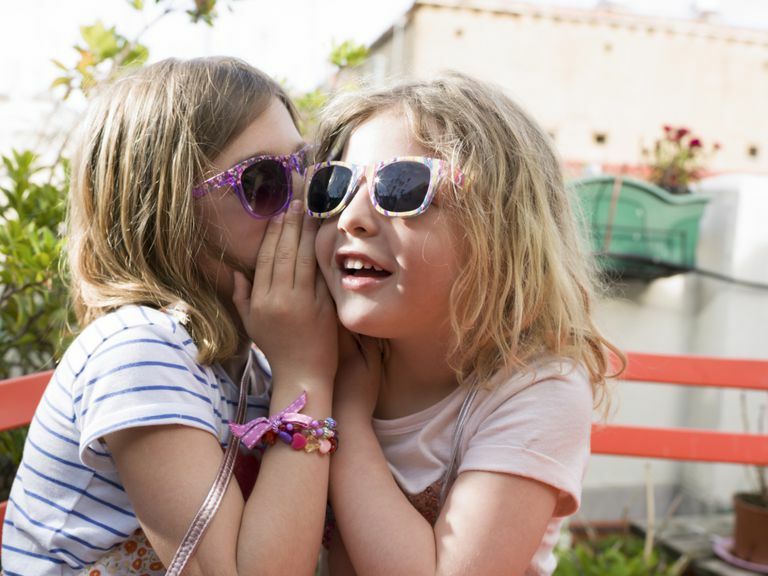 Most adults who ask kids to keep secrets have good intentions. But unfortunately, there are is a small population of people who prey on children and their predatory success depends on their ability to tell a child to keep their unsavory behavior a deep, dark secret. That’s why it’s essential to teach kids about secrets. Potentially Damaging Secrets: Sometimes, kids are asked to keep secrets with the best of intentions, but those secrets can still be damaging. Grandma might say, “Don’t tell your parents you stayed up way past your bedtime,” or friends might say, “Eat this cookie, but don’t tell your Mom I gave it to you!” Those secrets send the message that your child (or someone else) might get into trouble for telling the truth. Dangerous Secrets: Child predators depend on children to keep their secrets. Perpetrators say things like, “This is our secret and you can’t tell anyone.” They may threaten children in a number of ways in an effort to keep them silent. Children who haven’t been educated about secrets often don’t dare tell anyone. Make it clear to your child that in your home, you don't keep secrets. Educate your child about the different types of secrets and why it's important to talk to a trusted adult. Talk regularly about safe vs. unsafe secrets. Start talking to your child at a young age about unsafe secrets. Explain that sometimes people ask kids to keep secrets because they’re doing bad things. Make it a regular discussion with your child as your child’s ability to understand the subject grows. Teach kids about safe and unsafe touches. Teach your child what constitutes a ‘safe’ versus an ‘unsafe touch.’ Make sure he understands no one besides a parent or doctor should touch any parts that are normally covered by a bathing suit. Discuss the importance of talking to trusted adults. Make sure your child knows he can always tell you if he’s asked to keep a secret. Whether his friend told him he couldn’t tell anyone or a babysitter said, “It’s none of your parents’ business,” make sure he knows it’s OK to tell you anyway. Reassure your child telling won’t result in punishment. Child predators often tell children they’ll get in big trouble for telling anyone what’s going on. Make sure your child knows he won’t be punished for telling the truth or revealing any secrets. Additionally, talk to your child about the difference between tattling and telling. It’s important for kids to know that there is a difference between secrecy and privacy. Just because you aren’t going to keep secrets doesn’t mean you should tell the whole world about your private affairs. As your child matures, hold ongoing discussions about privacy. Although you don’t want to encourage “family secrets,” you also don’t want your child announcing to the world that you’re experiencing financial problems or that a sibling is failing math. Hold ongoing discussions about each family member’s right to privacy and how sharing potentially embarrassing stories isn’t a kind thing to do. Look for teachable moments and hold ongoing conversations about the importance of respecting privacy and not keeping secrets.